This 8-day bicycle tour begins and ends in Kunming, the capital of Yunnan Province known as the "Spring City" and the gateway to China's largest concentration of ethnic minorities. This tour is designed as a relatively moderately strenuous ride. Average daily cycling mileage will be about 30-50 miles (50-80 km). On some days we may use vehicle transport to supplement the cycling to get us to the next destination. Riders will carry their luggage in their bike panniers. There will be no support vehicle. This tour will visit both well-known and little-known sights and will appeal to those who have cultural, social and geographical interests. On the first day, the group will meet and there will be a warm-up tour of the city where we will visit the Yuantong Temple, Cuihu (Green Lake) Park and the East/West Pagodas. 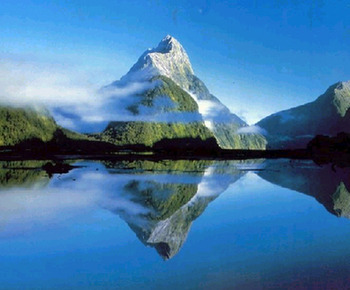 The following morning, the group will fly to Shangri-La (Zhongdian). The is a predominantly Tibetan town located at about 3,000 meters (9,800 feet). We will spend two days exploring the area of grasslands and Tibetan temples. The following day we will cycle mostly downhill and visit an historic castle along the way to Qiaotao, the gateway to Tiger Leaping Gorge. The following day we will to see the Tiger Leaping Gorge. Tiger Leaping Gorge is one of the deepest and most dramatic gorges in the world and is still quite wild despite the enormous efforts to tame it. We will visit the narrow spot of the gorge where it takes it name. It is a powerful spot with the whole of the Yangzi River confined to a 20- meter (70-foot) width. We will spend the night in the gorge in simple cabin-like lodgings. We will cycle out of the gorge and then along side the Yangzi River and view the First Bend (where the river makes a U-turn leading to the headwaters in Tibet. The next two days will be spent in Lijiang, the center of the creative Naxi minority group, exploring this unique city with fast flowing open canals and unique architecture. We will view several temples, Black Dragon Park attend a Naxi Music Orchestra and the view the Baisha Frescoes. On the eight day, we will return to Kunming via air concluding the bike tour. 4. All group entrance fees. 6. Bilingual bike tour guide to accompany the group throughout the tour.